Virtual Reception Services is about making businesses, both existing and new ones, grow. The best growth comes through customer service, because that is where the customer’s loyalty is secured. 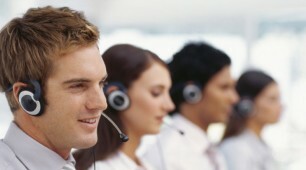 Virtual Reception works to ensure that each customer is given the full attention due them. When a customer is fully satisfied, they go from being a chance customer to a loyal customer. It is in this way that your business sees true growth. We know that the receptionist is the first line of welcome for a client. As such, the image they present is the first impression that the customer receives. It is often said that first impressions are lasting impressions, and that is what we believe. That is why we work to ensure that phone calls and other forms of communication are received with the highest degree of professionalism. We make business personal, both in how we deal with you and in how we serve your company. Personalised business is two-fold. First, we work to give you the best service possible, seeing to the specific needs of your company. A dedicated receptionist is on-call right when you need it, and is not distracted by serving multiple clients. The second part of our service involves your own customers. We treat each customer with respect, giving them our full attention. Our personalised service is dedicated to working as an extension of your business, and we operate with your preferences in mind. Calls are answered with your business name, and throughout the duration of the call, including any forwarding, transfers, or messages taken, your company protocol is followed directly. Our team of professionals are ready to work with you when you need it, 8 hours a day, with no time off for illness, vacations, or holidays, but without the insurance costs of hiring an actual full-time employee. Our service is constant on any given day, at any given hour. Your clients gain the confident assurance from knowing that they are given due attention, and never again do you have to miss an important phone call. Virtual Reception Services operates under a no-contract basis. Our objective is to provide employee services, without the expense of hiring a full-time employee. There is no risk involved; at any time, you can decide to drop our services, with no additional fees or surcharges. As long as current invoices are up to date and paid in full, there is nothing else that needs to be done. 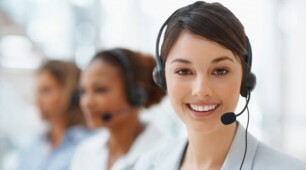 At Virtual Reception Services, we do more than simply take calls. Our receptionists are also qualified to act as secretaries, scheduling appointments and making changes to your calendar as necessary. We work within your needs, doing the task assigned. We are familiar with and able to use a variety of office programs, including those specific to a certain field. Transcription and data entry services are also a part of our workload, and many more, take a look at the services we provide.